A quick view of the most influential metrics in Fairfield. Fairfield is a medium to large coastal town in Fairfield County, Connecticut. It is made up of approximately 16 neighborhoods and is the 14th largest community in the state of Connecticut. It is bordered by the communities of Trumbull, Easton, Bridgeport, Weston and Westport and it is located along the shore of Long Island Sound. The city is nautical in nature and is blessed with a rich nautical history, an abundance of beach and water activities and beautiful waterfront scenery. The town is largely suburban and it features quiet streets and comfortable housing. In 2006, Money Magazine ranked Fairfield 9th on its "best places to live in the U.S." list and it has also been ranked the best place to live in the Northeast. Commuting is a common fact in the community and a number of residents use local public transportation for their daily commutes. In 1635, Puritans along with other members of the Massachusetts Bay Company began to settle throughout the area we now know as Connecticut, including the area that would one day be Fairfield. In January of 1639, Connecticut was established as a self-ruled entity and settlers began establishing new towns throughout the area. Roger Ludlowe purchased land and established a town-site naming it Fairfield. The settlement was considered one of the two primary settlements in the Connecticut Colony. Over time the growing town split into several towns like Redding, Weston and others. Much of the town was destroyed by fires set by British troops during the Revolutionary War. After the war the town hung on and rebuilt. The area remained largely agricultural up until WWI when munitions became the man industry. The town spans 31.3 square miles, 30 square miles of land area and 1.3 square miles of water area. The estimated per capita income in 2010 was $58,576 and the population was 59,404. In 2013, the population estimate was 60,855 residents within the city and the estimated population density was 1,927 people per square mile. In the same year, the estimated median household income was $105,059 and the estimated per capita income was $55,994. In addition, the estimated house or condo value was $493,741 and the mean housing price on all units was $640,388. The city is decidedly white-collar, over 92% of the workforce holds white collar positions and over 7.5% of the workforce works from home via small businesses and telecommuting. Among Fairfield's charming neighborhoods is Fairfield Center, Tunxis Hill, Grasmere and many more. Points of interest in the community include, but are not limited to the Connecticut Audubon Society Birdcraft Museum and Sanctuary, Bronson Windmill, multiple historic districts and so much more. Cultural sites include the Regina A. Quick Center for the Arts, Bellamine Museum of the arts and others. The town also features five beaches, a Sportsplex, Ye Yacht Yard and more. Fairfield has beautiful homes ranging from small starter homes up through sprawling historic and luxury homes. Other housing options include apartments, houses and multi-family structures for rent as well as townhouses and condominiums with a plethora of amenities for sale or lease. For assistance in finding the home of your dreams in Fairfield, call House Real Estate CT at 203-667-7416 today. View our selection of available properties in the Fairfield area. Check out the latest demographic information available for Fairfield. 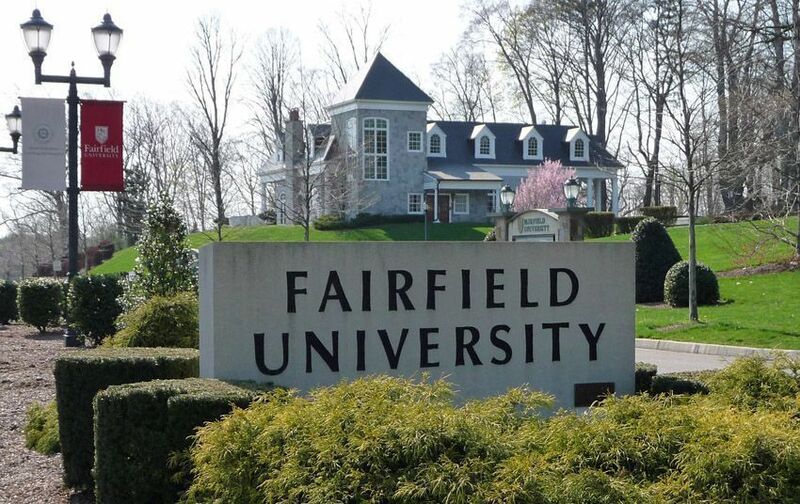 Get to know Fairfield better with our featured images and videos. Browse through the top rated businesses in the most popular categories Fairfield has to offer.